Sorry I’ve been so quiet. I went from the show and leaped right into a Christmas present commission. I’ve been working on it since the 6th of December and put the finishing touches on it just this Saturday. 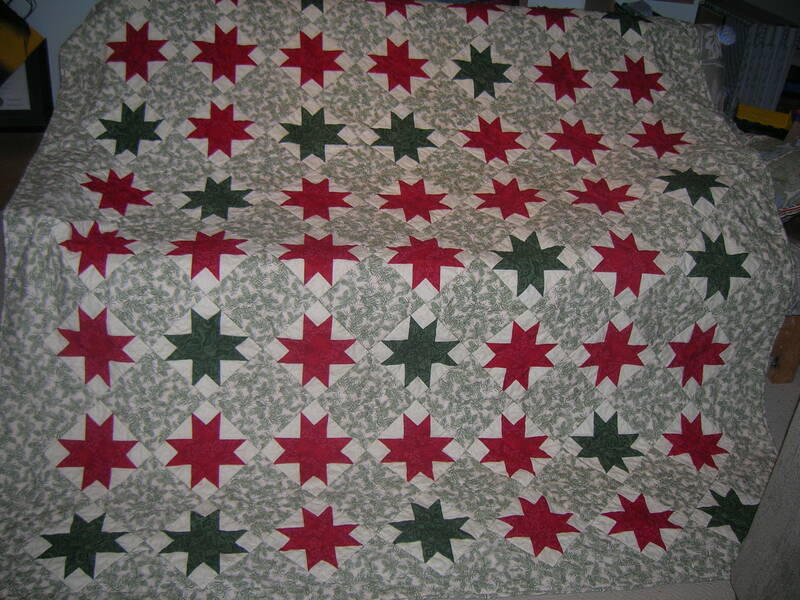 It is a full-sized quilt of some beautiful stars. I’m sounding like a broken record, I know, but I love it! And here’s a close up of the detail I quilted. And a close up of the stars themselves. 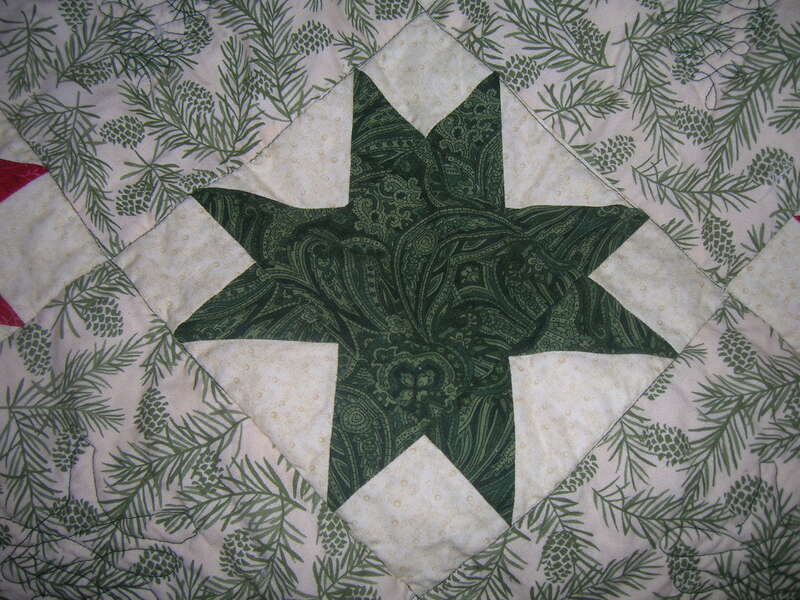 The back of the quilt is the same dark green fabric I used in the stars. I really hope the people who ordered it like it. See, here’s the thing about ordering quilts. 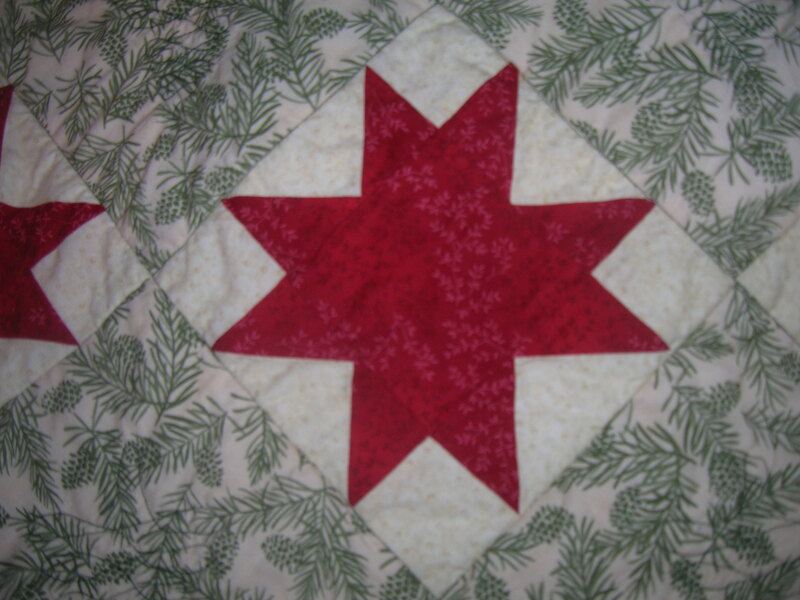 I or the client suggest an approximate pattern or look they want – in this case Christmas colors and masculine and a star pattern – and they give me some ideas about the color they want and I whip it together. Or to sound totally pretentious, I create art. Then I send it off to them and they mail me a check. And I pray and pray they really like it. I have another commission to do before the end of January, so I’ll be working on that in the meantime. 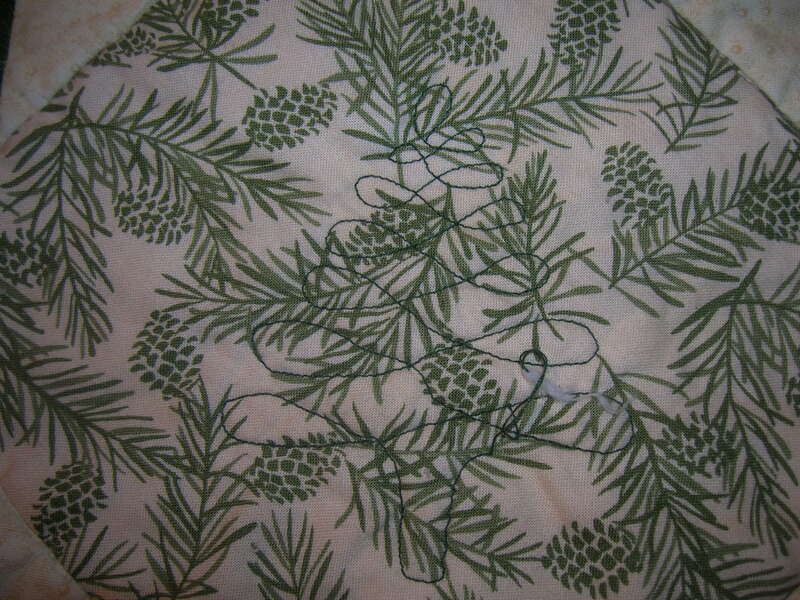 And there is a baby quilt that I have to make! (Squeeee!!!!) Some of our most wonderful friends are having a baby. It’s a girl and so I get the absolute treat of making a quilt using purples, green, and a smattering of pink. Woooo! They will LOVE it! It’s beautiful.